Thank you for choosing me as your family photographer. I am looking forward to spending time with you and your sweet family! As a mother of two, I know how important it is to capture your little ones because they grow up so quickly! 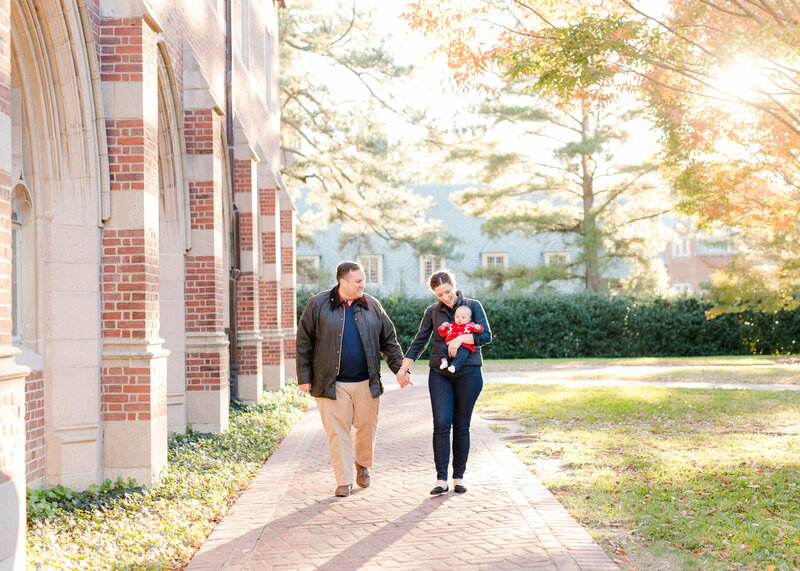 The location of your session can add meaning and fun to your photos! The images will be focused on you, but a great location adds tons of color, texture, and beautiful light. Natural spots are gorgeous open fields, and treed areas. These locations are ideal for playing and focusing on each other. The best time of day to shoot in fields or parks is just before sunset. That is when we get that magical golden light! Urban spots are cool alleys and buildings. They have great color, texture,and variety. We can shoot in urban spots at almost any time of day, since there is lots of great shade. If you need help deciding, just let me know! We have all tried taking pictures of our kiddos and they just aren't having it! If 8 years of teaching 1st grade taught me anything, it was lots of patience. Kids like to have fun and that is exactly what I try to do during our time together. You will definitely see me making faces, being silly, and laughing, a lot! *Have a small treat to give afterwards for good behavior. Don’t be afraid to pick up your children and toss them in the air. Give your wife a sweet kiss on the check. Tell your husband how much you love him and appreciate him for being there for your family. Have fun. Laugh. Giggle. Joke. Embrace. Kiss. Snuggle. Play. 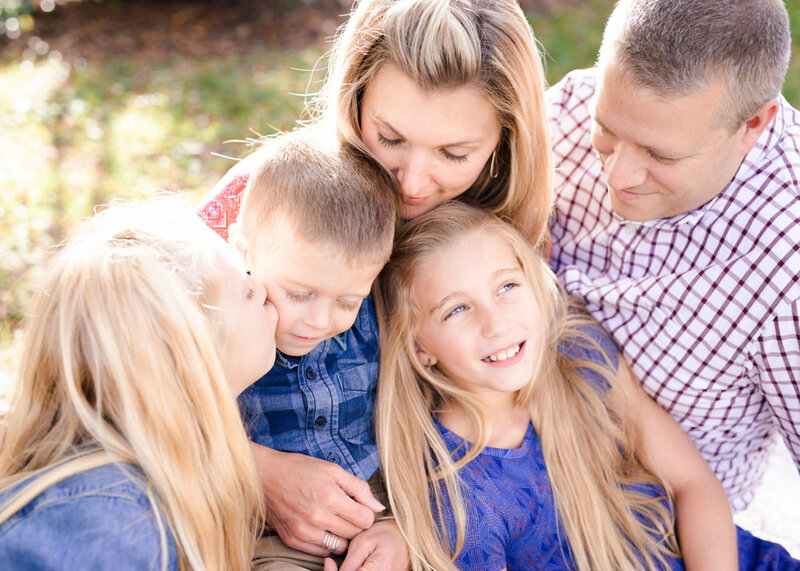 Doing these things will allow me to capture the emotion and true beauty of your family! These are the photographs that you will cherish most because they depict your family connection and your love! If you're anything like me, you will be waiting on pins and needles to see your images! I will start working on them right away and will have your completed gallery to you in 2-3 weeks. You will receive an email from me that contains a link to your online gallery. You can look through your images, share the gallery with friends & family, and download your images right to your computer.